Technology isn’t static. It keeps moving, developing and evolving. 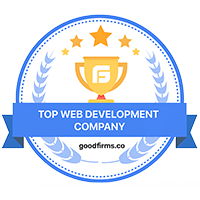 When the first website was developed decades ago, it was a technological marvel at the time, especially since it gave people a glimpse of what could be achieved via the World Wide Web, which was still in its infancy during the time. Fast forward to today, the internet has become a part of everyday existence and the web experience has extended to applications which grow more interactive and intuitive with each passing year. The web apps today are much faster and propose new opportunities for connecting everyday objects to the web. And the best way to honor this evolution is to analyze the trends that made these innovations happen. In a recent post, we discussed popular trends in mobile app development. 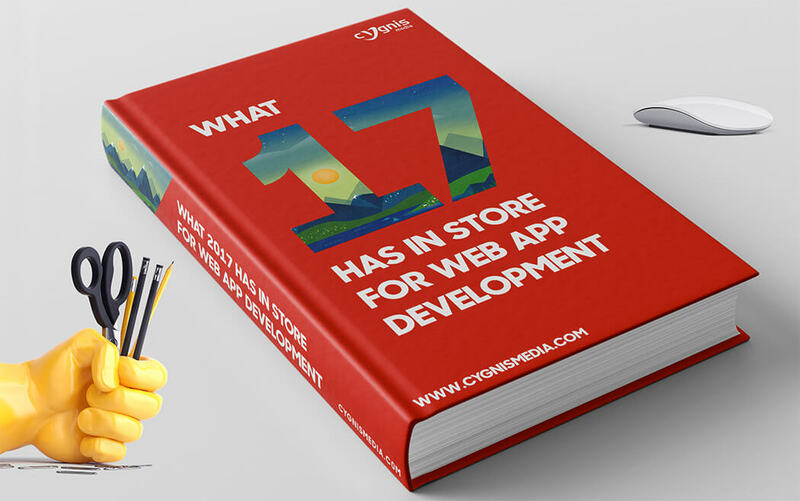 This time, let’s review trends that are having a considerable impact on web application development in 2017. We are a long way away before machines can mimic human thinking completely, but with the innovations made in AI during the last two years, we are certainly a bit closer to the notion than before. One of these innovations are conversational interfaces. Enabling artificially intelligent solutions to converse, retain what they learned from conversations and base their decisions accordingly has enabled them to offer more intuitive experiences to users. Take, for example, Google Assistant which uses a conversational interface to talk with users to help them do everything from booking a ride on Uber, to making dinner reservations at their restaurants of choice. It learns about users from the conversations it has with them and uses this knowledge to modify future recommendations accordingly. AI poses a lot of possibilities for web app developers hoping to bring the same intuitive experiences with their own products; experiences that are currently being dominated by mobile. Some developers have successfully introduced these AI capabilities in web apps. A task management web application, Todoist for example, uses its AI powered smart schedule functionality to help users determine the best timeframes to complete certain tasks based on their previous behavior. Another application, a DIY website builder service known as The Grid, gives users the chance to engage with its artificial intelligence program Molly to create static websites. To know what users want their website to look like, Molly engages them in on-on-one conversations. It then creates these websites based on what it learns from these conversations. The Internet of Things (IoT) is a network of physical devices that can be connected to the Internet, be it the various connected items in Mark Zuckerberg’s home controlled by his AI powered bot Jarvis to simpler applications like barcoded grocery items that can be scanned with a smartphone. What enables easy integration between these physical objects and the software that connects them are networking protocols. However, hundreds of incompatible protocols in IoT co-existing today, which makes integration of data complex and costly. To overcome these limitations, a new subset of the Internet of Things is being considered; one that might make integration of objects from different manufacturers a possibility – the Web of Things (WoT). So what is different about WoT? Unlike IoT environments which depend on the lower layers of the OSI layers to connect objects to the web and make them communicate with each other, the WoT works on the application layer. This simplifies the process of connecting data from multiple devices regardless of the transport protocols used. So the assumption is that if these standards can be applied to an IoT setup, it would eliminate the limitations in IoT environments which arise when services and data integrations follow different protocols. In the Web of Things, any device can connect to the web by using standard web protocols. For now, we have to be content with how data gained from connected objects in IoT networks are monitored on web applications at the administrative end. Think of RFID tags on sales racks that can send data on availability of certain items to an inventory tracking app on an employee’s smartphone, but the overall data itself is being monitored on a web application “control center.” It will be interesting to see the kind of WoT applications developed in the months to come. Progressive web apps, an initiative introduced by Google in 2015, seem to be gaining ground this year. PWAs mimic the user experience of native applications. The difference is that these applications are developed with web technologies. Think of a PWA like a web app which is advanced enough to look and function like a native app. Offline Access to Cached Data: Progressive web apps use the offline first approach. This basically means that they cache user data much like native apps. This data can then be accessed by users when there is no internet connectivity available. Some businesses have used this to their advantage. Air Berlin, for example, has a progressive web app that passengers can use to save their boarding passes during flight check ins. Since the app caches this data, passengers can access their boarding passes later even without an internet connection. Higher engagement: PWAs have increased user engagement for the businesses that have adopted them. By bringing the web experience closer to that of a native app, PWAs give app developers a lot of chances to increase engagement. Flipcart, for example, experienced 70% increase in conversions after it launched a progressive web application. This year, Google plans to integrate progressive web apps deeper into Android which will make them bring users even closer to the native experience. The possibilities that this level of integration proposes are nothing but exciting. Need to build a progressive web application? With cross platform compatibility, web apps remain the ultimate medium for a product. Tell us about your project for a free consult. If progressive web apps tell us anything, it is that how fast an app is adopted also depends on its speed. This isn’t surprising considering that the attention span of the average app user has dropped during the last few years. Statistics also indicate that around 43% of users expect a web page to open in less than three seconds. Point is, user impatience is a stark reality and is something that app developers work to overcome. The HTTP/1.1 was the foundation of data communication on the web since 1999. But recently, this protocol was upgraded to HTTP/2. The latest version of this protocol retains the same benefits of HTTP1 and introduces new improvements, one of which makes websites run faster. For example, over a single TCP connection, HTTP/2 can send multiple data requests in parallel. With a single connection to the server to load your web application, the connection remains open as long as you’re on the website. This helps in making your websites load faster by reducing the round trip times. To achieve quick load times, developers have started focusing on HTTP/2.0 and if you haven’t yet, then so should you! When Facebook launched its 360º video feature back in 2016, it brought us a little close to what virtual reality feels like – it let us know what it felt like to experience alternative realities without actually being there. Later, it combined this feature with live streaming which enabled users to view live events with a 360º view as they happen. When VR headsets were introduced, the 360º video experience got a major upgrade. How? Instead of giving users a one dimensional view, when 360º videos are viewed on a desktop, videos that are viewed through VR headsets transfer users right in the middle of these experiences. VR and 360º video have shown enormous potential in web development. A web app for a real estate agency, for example, can feature 360º videos of apartment interiors which, when viewed through VR headsets can make clients feel as if they were in these apartments themselves. There is already some work being done in the web development community in this regard. Consider A-Frame, a webVR content creation framework by Mozilla, that allows web developers to create virtual reality experiences and 360º images that are viewable on VR headsets like the Oculus Rift. When technological attitudes shift, developers have to keep up or be prepared to be left behind. 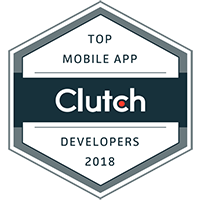 If web app developers hope to create products that perform well on both mobile and desktop, they need to know about current innovations that can bring them closer to these goals. And if these trends tell us anything, it is that 2017 is likely to bring some very exciting developments in web applications. Enjoy reading about the latest trends in design and development? Check out our top 5 picks in UX Design Trends.